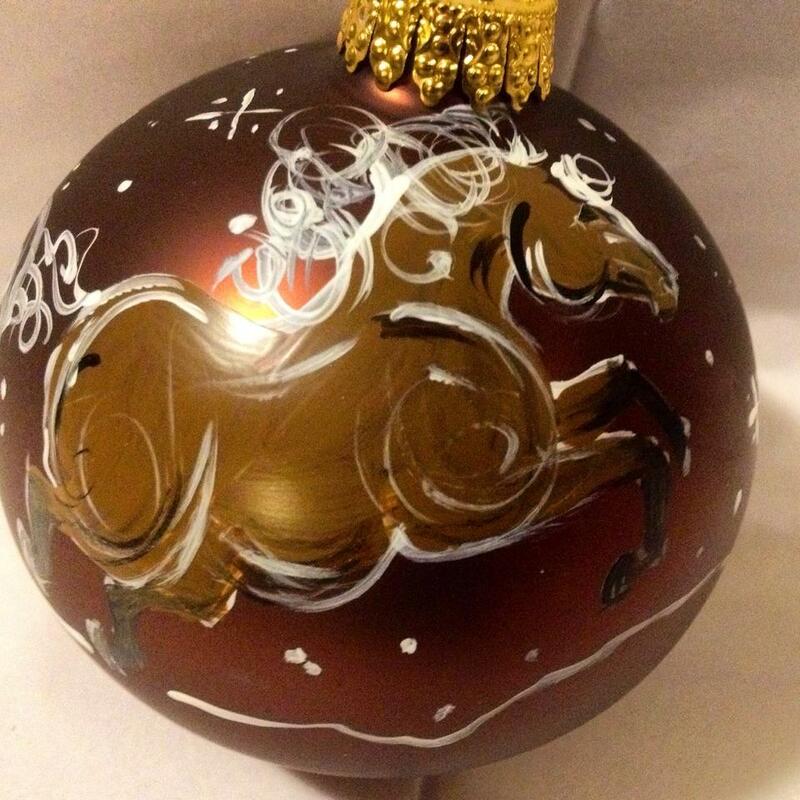 Have a colorful gallop through your tree, in your window, or as special gift. 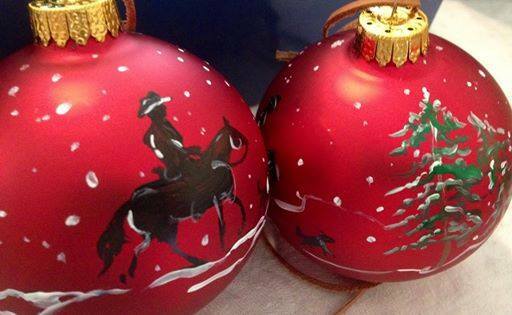 These hand painted ornaments are available in a variety of coat colors. Or send us your photo for a custom painted ornament of your special friend. Hand painted glass ornaments make wonderful gifts! 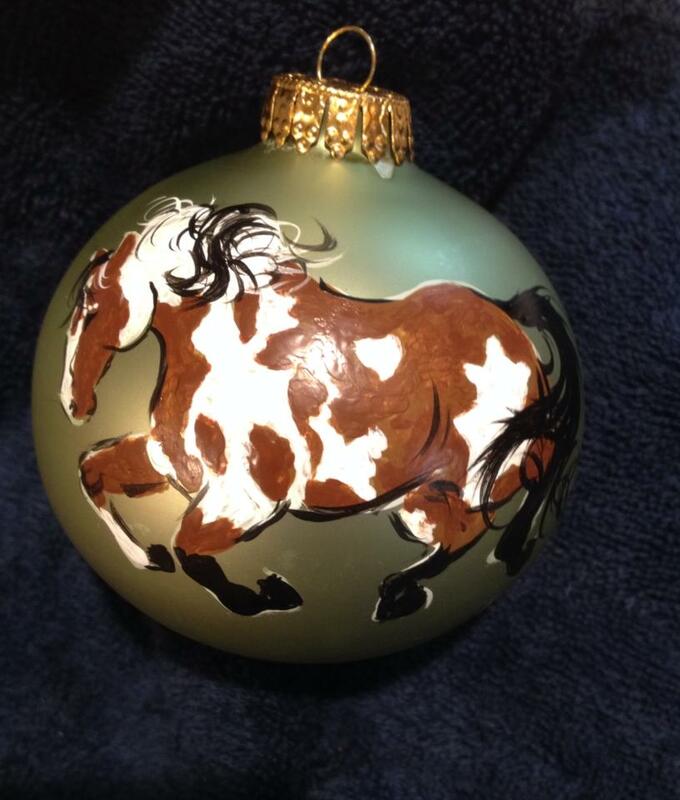 Let me know what color your horse or pony is, (or, for that matter, mule or donkey! 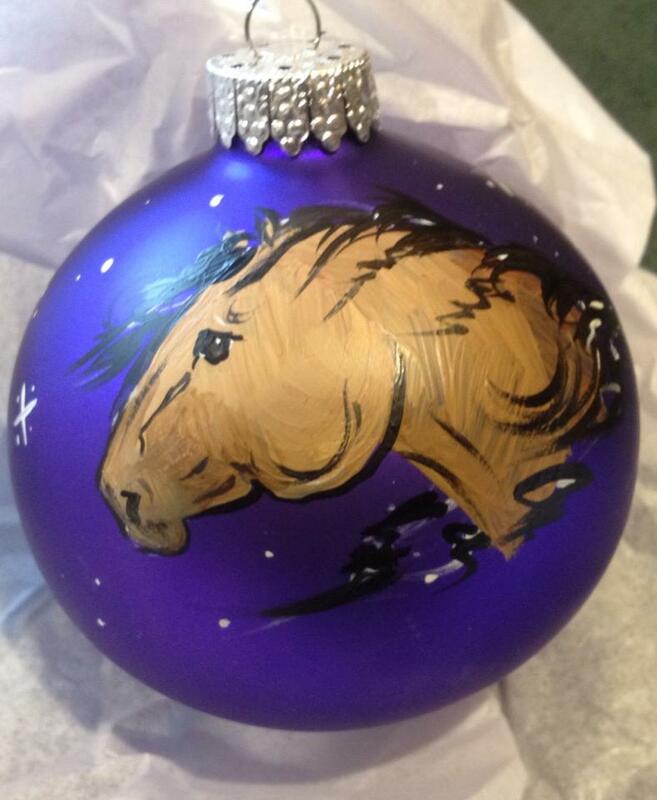 ), and the markings, and I’ll create a custom ornament, complete with your equine’s name and the year on the backside of the ornament. 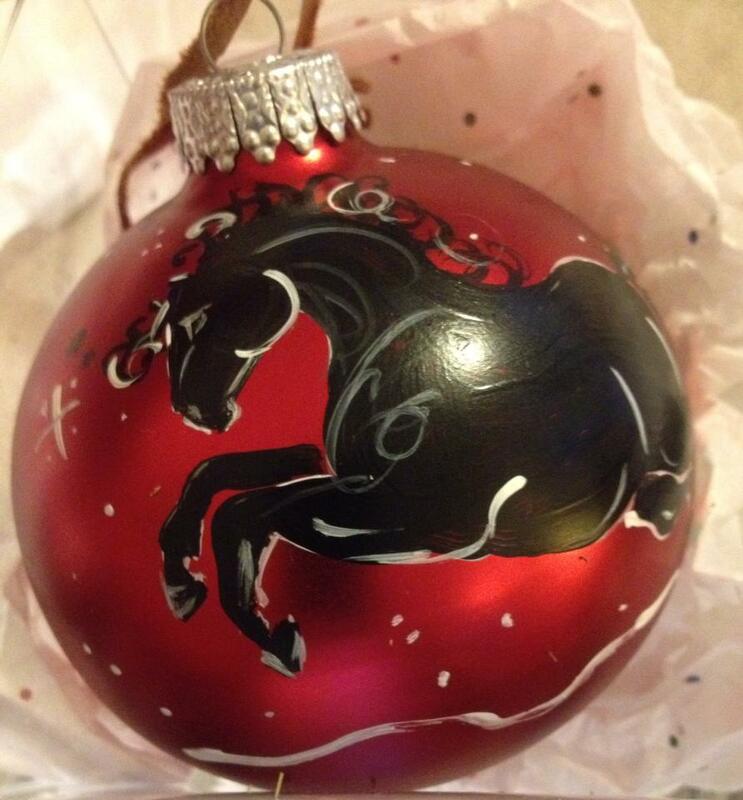 Barn owners, trainers, and practitioners, contact me for multiple ornament discounts for your clients. Like our wild pony images? Check out our new herd painted on wine glasses at Wild Pony Wine Glass!